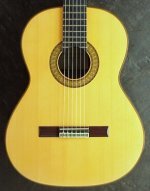 This is the place to view links and information about how to learn to play classical guitar. You'll also get an overview of what's available to you no matter which level of classical guitar playing you've achieved so far. The traditional method of booking lessons with a teacher is, of course, still one of the most popular ways for a student to learn classical guitar. There's also a large market for books which supplement traditional lessons or provide free standing "teach yourself" lessons. The advent of digital technology has enabled lesson publishers to include CD's or DVD's with their written lessons. This means that students can enjoy ways of learning to play classical guitar that are close to the one to one experience with a tutor but without the cost. It's not the ideal but its an acceptable substitute if your budget won't run to personal lessons. First off we feature one of the most respected teachers of the instrument. She publishes a superb range of books and cd's to help you achieve your full potential. She also provides personal lessons for those who live close enough to her home, or who can travel. The Maxine Parker classical guitar rote method for teaching children as young as four years old is a great way of getting your kids to learn to play classical guitar . She also publishes a more advanced version of her method for older children and adults. If you want the ultimate do it yourself package take a look at the Esteban classical guitar web site . Here you'll find complete guitar and DVD tutorial kits plus sets of instructional DVDs. The growth of the internet has changed many ways of obtaining information and getting guitar lessons is no exception. If this is your chosen method make sure you shop around. Some online lessons involve subscription fees so make sure that you are sure before committing yourself. Check out these online classical guitar lessons and see what you think. If you are just starting out, many video lessons can be found on YouTube and other sites that provide videos. The quality of the lessons vary, and for a beginner there's really no way to tell which videos are good and which are bad. If a beginner is trained incorrectly from the start, the bad playing habits learned can be very hard to break. Here are some classical guitar lesson videos videos that might interest you if you are a budding virtuoso of the classical guitar. Did you take guitar lessons in high school? Can you strum a few bars of a Bob Dylan song, or play along with the Rolling Stones? If you are considering learning classical guitar, you are in for a whole new experience! 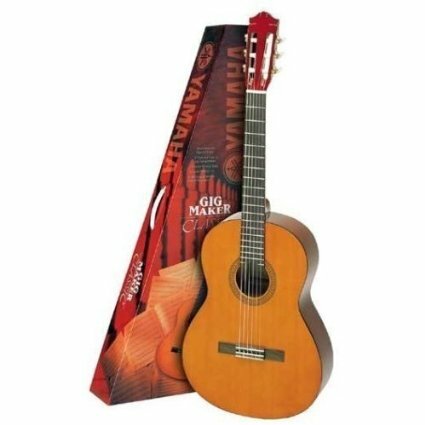 Classical guitar is considered to be an art; one that has been practiced for hundreds of years. It has a history all of its own. Before you begin learning to play classical guitar, you will want to study its history and learn a few other things that make the classical guitar different from a regular acoustic guitar. The main difference between classical and regular acoustic guitar is the way that you play them. A classical guitar has to almost become a part of you. Your body needs to move with the guitar as you play. Let yourself feel the rhythms and the melody and be caught up in them. If you are willing to take this approach, the music you play will have much more passion and movement than if you sit straight up and strum stiffly on the guitar. Playing classical guitar requires the musician to be relaxed, both in mind and in body, and to become part of the music. 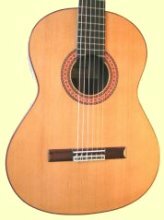 Any thoughts or ideas you have of playing acoustic guitar will probably not apply to classical guitar. Be open to changing any habits or ideas that you have; this will help you to learn more quickly and to become a classical guitar player that people love to listen to. Although classical guitar will seem difficult, take the time to learn the basics. Practice them over and over. If you do this, you will have a strong beginning to build on when you want to learn more complicated tunes and techniques. Practice and patience are very important when you want to learn classical guitar. There are different ways to learn to play classical guitar. You can buy a book, CD or video, or even find information on the Internet. The most successful way to learn is to find a classical guitarist to teach you. It is much easier to learn how to sit, how to hold your guitar, and how to play the music if you have someone right there to show you and to correct you if you make any mistakes. Contact your local music store or put an ad in the newspaper to find a teacher. Enjoy this new learning experience, and if you feel discouraged, listen to a CD of a professional classical guitarist and look forward to the day you will be able to play that well! 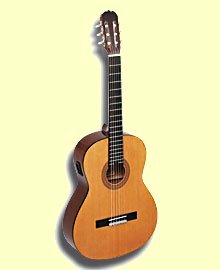 I've listed three excellent sites that offer a big selection of beginner classical guitar sheet music , lessons and courses. Check them out, they'll keep you busy for years without having to spend a penny on classical guitar music scores.